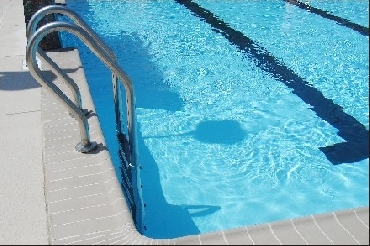 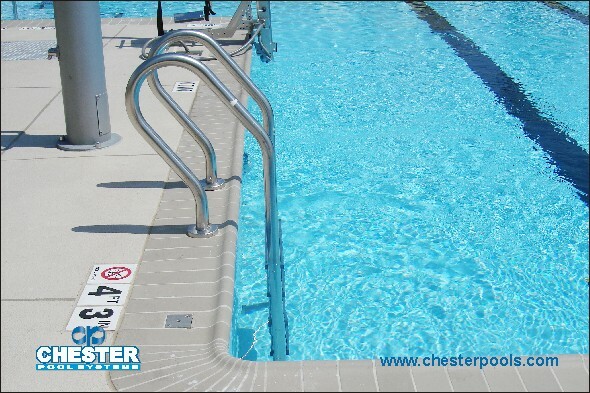 For competition, lap or similar pools where unobstructed pool walls are desired. 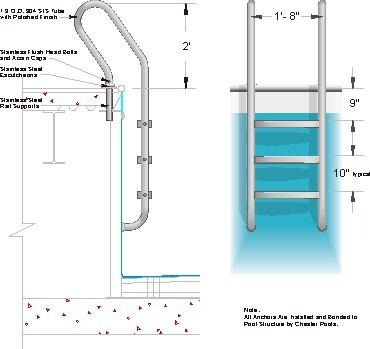 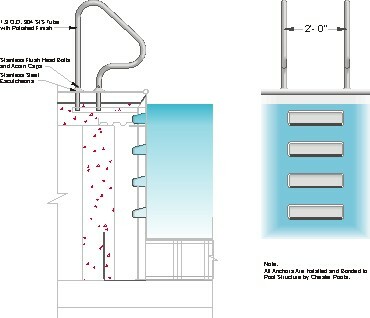 Each step package consists of deck mounted stainless steel handrails, plus individual steps recessed into the pool tank wall. 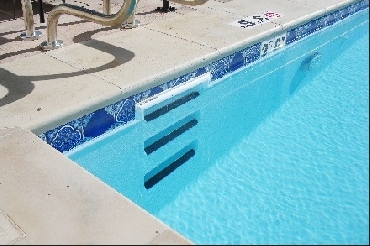 Black edging on each step increases visibility and safety.